A mammogram is a special type of X-ray of the breasts. Mammograms can show tumors long before they are big enough for you or your health care provider to feel. They are recommended for women who have symptoms of breast cancer or who have a high risk of the disease. You and your health care provider should discuss when to start having mammograms and how often to get one. Mammograms are quick and easy. You stand in front of an X-ray machine. The person who takes the X-rays places your breast between two plastic plates. The plates press your breast and make it flat. This may be uncomfortable, but it helps get a clear picture. You will have an X-ray of each breast. A mammogram takes only a few seconds and it can help save your life. What is a Biopsy and what do the results mean?- Answers to questions that arise with discovery an abnormality. Breast findings, mammography, updated biopsy techniques explained (stereotaxic, ABBI, MIBB, Mammotome). Mammo center locator. Mammo Tech Tips - Tips for technologists who perform mammography. Mammogram Voucher Program - Providing information on the program which provides free mammograms to uninsured and underinsured women and men in 30 counties in Pennsylvania. Mammography Teaching Files - Provided by the University of North Carolina. MQSA help - Great source for information on the regulations and requirements of the government MSQA program. Potential Benefits and Risks of Mammograms - Detailed information, answers to common questions and a questionnaire. Part of a scientific study being conducted at the University of California, San Francisco. RadiologyInfo: Mammography - Learn how an exam is performed, what you might experience, how to prepare for exams, benefits, and risks. Telemammography using Satellite Communications - A teleradiology project of NASA's John H. Glenn Research Center addresses the need for bringing mammography expertise, usually located in large medical facilities to underserved areas. Check out the mammography society or the mammography association sections for a comprehensive listing of state and national agencies and groups. These can provide help with finding a career in radiology. They can also provide radiology education advice and school suggestions. If you are already a mammography technologist or other medical imaging worker, these bodies provide a place for radiology professionals to interact with others in the career field. Some also offer radiology journals and are great sources of radiology and mammography CME and CEU opportunities. We believe that supporting the radiology profession by becoming a member in professional group helps improve not only you as an individual but the profession as a whole. For this reason we strongly recommend that you join your state and national society or association. The Mammography Student Zone - Find all the best radiology school resources at the student zone. Here we link to web sites, notes and tutorials that help you with a variety of medical imaging topics. Think of it as a radiology portal for imaging students. SPAM FREE - Join the list to get the latest mammography news from around the globe. It's easy to do and quick, Just go to www.RadiologyNewsletters.com and sign up with your e-mail account. Looking for mammography schools or maybe you're a radiologic technologist looking to expand your education with a bachelors degree in radiology? Either way, we can help. RTstudents.com has partnered with some of the top schools in the country to provide you with access to free college program information. Click the link below to find the radiology program and the school you like and fill out out the no obligation forms. That's it, the information that will help you find the right school is on it's way. What could be easier? Also, it's free, choose three or four and compare. 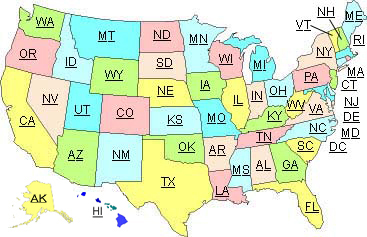 Mammography School Directory - Free medical imaging program information listed by state and city. Radiology schools are competitive to get into and since there's no limit to the number of applications you can fill out - the more you apply for the better your chances of getting into one. Free Anonymous Resume Posting Whether you're actively or passively seeking work, your online resume is your ticket to great radiology job offers! View Mammography Resume Database Check out our radiology resumes! We have access to some of the best professionals in the field. View Mammography Job Listings Access the newest radiology jobs available to professionals seeking employment or just viewing the market. Post Mammography Jobs On The Board Reach the most qualified candidates by posting your radiology job opening on our online Career Center. Add a link? Submit an url? Suggest a site? However you say it, visit our mammography and medical link exchange to post your radiology web site so others can find you. Everyone benefits when radiology information is easily available to all radiology students, radiologic technologists and other medical imaging professionals. We've found many wonderfully informative diagnostic radiology sites and also stumbled upon fellow rad techs with radiology blogs or radiology related sites. Let's hope ours link directory will help you find some too.